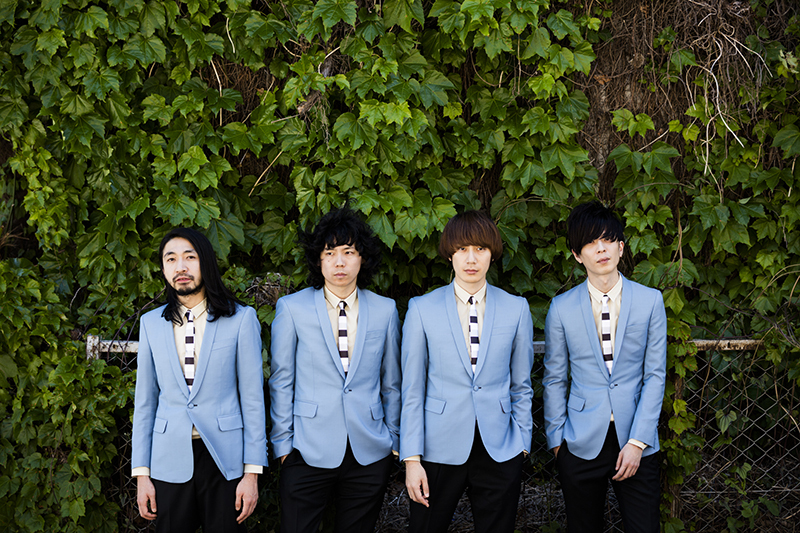 THE BAWDIES is a four piece Rock’n Roll/ Blues band. Their music is inspired by Little Richard and Ray Charls’s R&B/ Rock’n Roll showcasing the unique vocal style with pure and straight forward energy. ROY, JIM and MARCY have been together since elementary school and TAXMAN joined from high school, finally forming the band on January first 2004. After their major label debut in 2009, they released five albums. Though all the songs are written I English, the forth album “1-2-3” ranked second in Oricon Chart, drawing attention not only from rock scene but also also from the whole music scene. In 2015, the band expanded their potential after the second performance at Nippon Budokan, Hall shows in June and Europe tour in July. In June 2016, They had their first outdoor shows at Osaka Castle Outdoor Music Hall and in June at “Hibiya Outdoor Music Hall” titled “SHOUT OUT LOUD”. The band has been together for 11 years but they are still the rock band to watch out at the world standard.